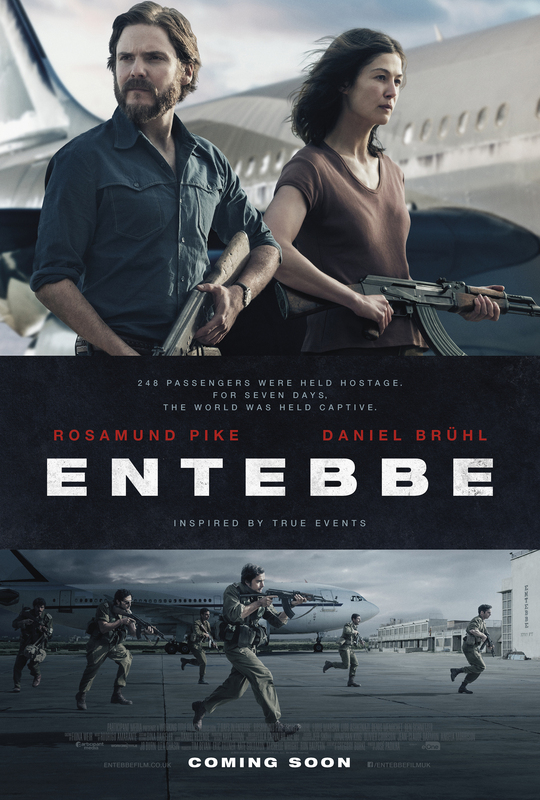 With three previous movies about the hijacking of Air France Flight 139 already released, and all of them within a year of the actual event, the first question to ask about Entebbe is, why now? (A second might be, and does it retain any relevance?) The answer to the first question remains unclear, as the movie, freely adapted by Gregory Burke from the book Operation Thunderbolt (2015) by Saul David, has a tendency to flirt with the truth for dramatic purposes, and in doing so, it manages to dampen the drama by lacking the necessary focus to keep viewers on the edge of their seats. The second question is easier to answer: it doesn’t, and for much the same reason as the answer to the first question. With the script trying to cover too many bases – the hijackers, the Israeli government, the hostages, Idi Amin’s need for personal aggrandisement, the raid that ended the whole thing, and a dancer taking part in a performance of the traditional Jewish song Echad Mi Yodea – the movie never settles on any one aspect for long, and never maintains a sense of the terror and danger that the hostages must have experienced. It’s a curiously bland affair, with plenty of gun-waving by Pike, but more navel-gazing from Brühl than is necessary, and lots of scenes where the enormity of the situation is trotted out for any slow-off-the-mark viewers – and with increasing emphasis. Most of the characters are forgettable, even the hijackers, as they’re treated more as functioning stereotypes than real people who existed in a real environment and experienced real emotions (much of this by the book). Pike’s angry revolutionary pops a lot of pills but we never learn the reason why, while Brühl’s softly softly bookseller seems out of place entirely. 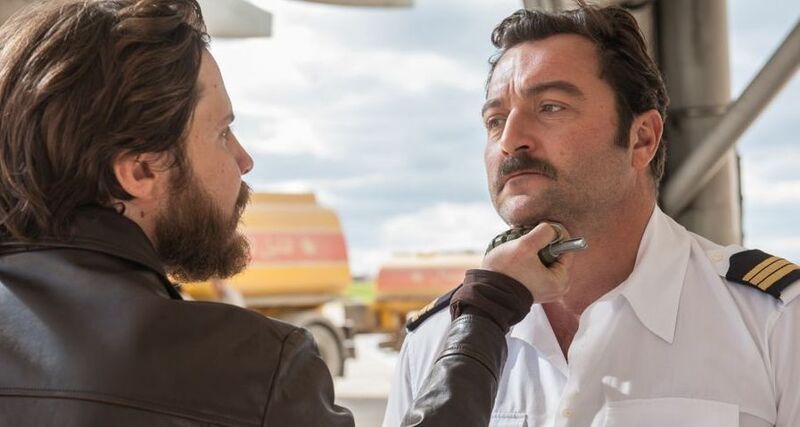 Ashkenazi is a tortured Rabin, Méncohet is the flight engineer who’s scared of no one, and Schnetzer gets his own journey as one of the Israeli commandos who take part in the raid (though why we need his journey is another question the script can’t answer). Only the ever-reliable Marsan, as hawkish Israeli Minister of Defence Shimon Peres, delivers a credible performance, and that’s against the odds, as Burke’s script and Padilha’s direction continually combine to undermine the cast in their efforts. Worst of all though, is the raid itself. After all the build-up, and all the foreshadowing, it’s shot using techniques and a style that wouldn’t have looked out of place in any of the movies made back in the wake of the hijacking. 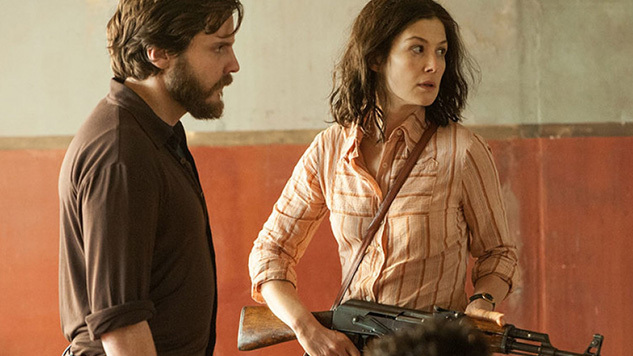 Rating: 5/10 – handled with a dull reluctance to make it the thriller it should be, Entebbe lacks energy, pace, and any conviction in the way that it tells its story; fascinating only for the way in which it does a disservice to the event itself, it’s a movie that wastes so many opportunities, it’s as if the material itself has been hijacked – but no one told the producers. It may not be obvious at first glance but Disney like to make true stories into movies. Even better is if it’s an inspirational true story. Which is why their production of the true story of Phiona Mutesi isn’t as odd a project as it might seem at first glance. Based on the book, The Queen of Katwe: A Story of Life, Chess, and One Extraordinary Girl’s Dream of Becoming a Grandmaster by Tim Crothers, Mira Nair’s latest movie holds steady to the usual tenets stipulated by Disney when they make a true story into a movie, and the result is a polished but depth-free look at one young girl’s rise from the slums of Uganda to prominence within the world of African chess players. Phiona (Nalwanga) lives with her mother, Harriet (Nyong’o), her older sister Night (Kyaze), and her two younger brothers, Brian (Kabanza) and Richard. They make a living from selling maize and sweetcorn on the streets of Katwe, one of eight slums in Kampala, Uganda. Early on, Night leaves home to live with her affluent boyfriend. As if her leaving wasn’t enough, Phiona realises that Brian isn’t spending much time selling maize and sweetcorn; instead he’s heading off to do something else. One day, Phiona follows him, and finds that he’s going to a project run by the Sports Outreach Institute, a Christian sports mission. Run by Robert Katende (Oyelowo), the children there are learning how to play chess. Phiona joins the group and it soon becomes obvious that she has a natural aptitude for the game. Robert encourages her, and when a local tournament is held, he enters some of the children, including Phiona and Brian. 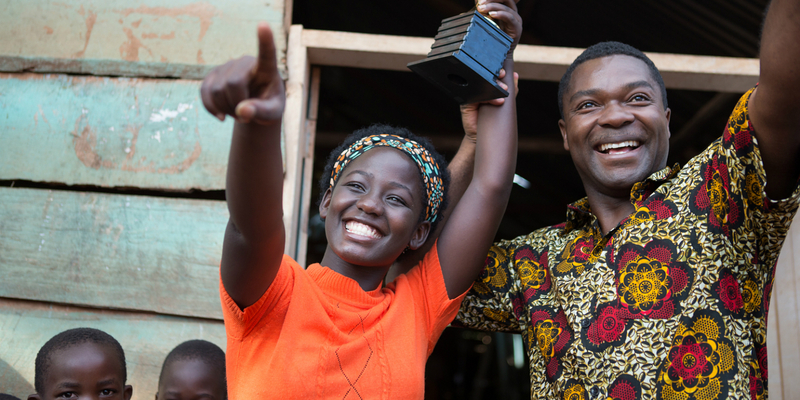 Phiona wins the tournament and she finds she has a degree of fame back in Katwe. Robert wants her to improve her game, but Harriet is suspicious of both chess and Robert’s assertion that Phiona can succeed as a future grandmaster. Initially reluctant to let Phiona follow her destiny, she eventually becomes supportive and proud of her youngest daughter. But Phiona’s increasing confidence leads to complacency and she loses another competition. What follows is a crisis of confidence that sees Phiona believe that the future within her grasp is no longer hers to achieve. Queen of Katwe has several things going for it. One is the relative unfamiliarity of its location and its characters. Another is the quality of the performances. There’s also Nair’s attentive, confident direction. And there’s Sean Bobbitt’s rich, detailed, vibrant cinematography. All these elements come together and enhance the movie in ways that are entirely felicitous and sometimes unexpectedly profound. As Phiona’s story unfolds, the hardships and the setbacks she faces, while not exactly as grim-looking or -sounding as they probably were in real life, are given enough emphasis that when she and her family are evicted, the audience is likely to be concerned as to what they’ll do next, and where they will go. Their journey has become the viewer’s journey. But Nair’s admirable direction, Nalwanga’s easy-going, likeable performance (allied to the more polished performances of Oyelowo and Nyong’o), the beautiful but desperate locations, and Bobbitt’s tremendous depictions of them, all of these wonderful components somehow lack the ability to offset the one major problem the movie has at its core: an over-reliance on predictability. Each development in the story is signposted with almost clockwork regularity, from Phiona’s first tournament loss, to Harriet’s eventual unconditional support for her daughter, to Robert’s decision in relation to a much longed for job opportunity. It’s as if the movie can’t help itself: it has to stick to formula, and it can’t be too imaginative. What this leaves the viewer with is a further problem: how to adequately qualify their feelings about Phiona’s story, and how much of it is kept from being even more effective (and affecting) by this decision to keep things static. Whole scenes go by where their importance is tenuous to what follows, or indeed, to what’s gone before. It’s even more difficult to lay this weird displacement at the door of the screenwriter, William Wheeler. Wheeler has done a good job in making Phiona’s story both appealing and inspiring, but even when he strays too close to cliché and melodrama he’s still not strayed close enough for those two “bad guys” to have the kind of impact that slows a movie down or makes it seem like too much effort is required. 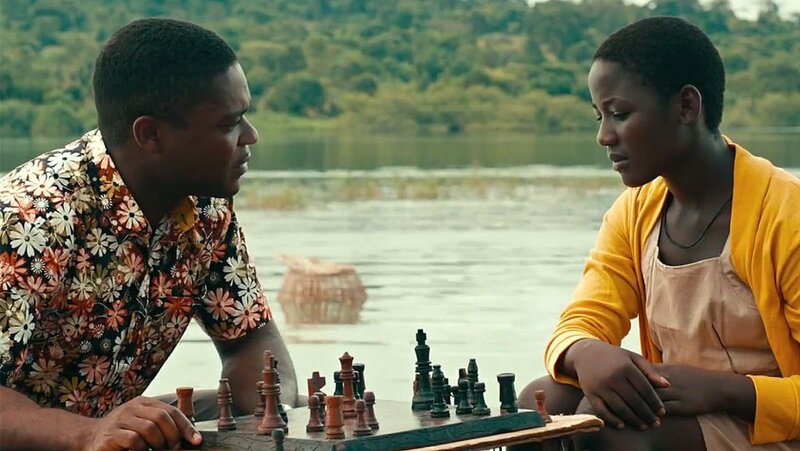 In real terms, Queen of Katwe is a story we’ve seen too many times before, and because of this, it’s told in a way that is, at best, a comfortable one for the viewer, but also a desultory one for the movie. Phiona’s family dynamic offers nothing new, and nor does the way in which her story unfolds, from the unexpected success on the lower rungs of the Angolan chess ladder to the here-again-gone-again antics of Night. Even the section where Phiona doubts herself and becomes (somewhat) depressed is approached with a kind of bland decisiveness that adds little or no drama to what’s unfolding. Instead of feeling undue and unnecessary pressure, all it takes is a pep talk from Robert and she’s okay again – and the viewer will know in advance that this will be all she will need to start playing again. There are many more moments like that one, and the movie is so reliant on them, it’s as if the makers decided to include as much movie shorthand as possible during Queen of Katwe‘s filming, and then they imbedded the idea even further during the editing process. It doesn’t make the movie unwatchable, or a bad movie that could have been better; rather it’s a movie that won’t surprise anyone, and it’s a movie that hits each emotional highpoint with all the skill and precision of someone pushing a dart into a bullseye from a foot away. It’s movie making by rote, and sadly, it lessens the impact of Phiona’s story, and her achievements – which can’t be right, can it? 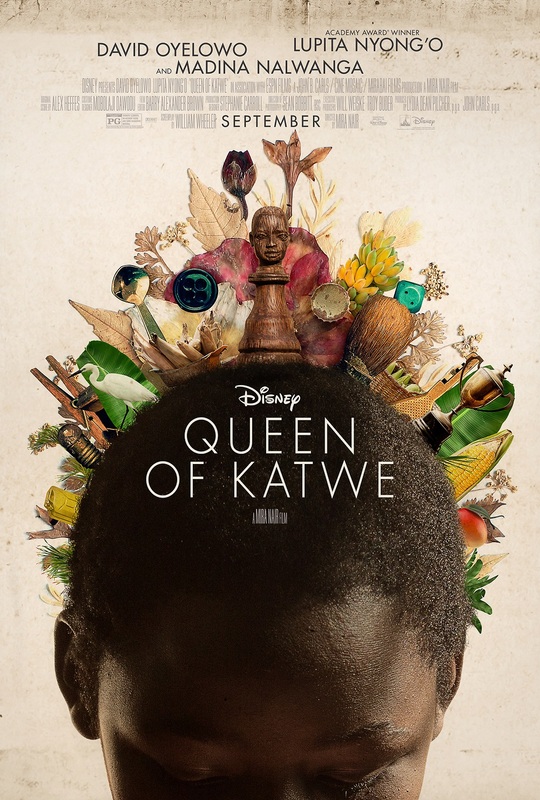 Rating: 7/10 – a good movie that rescues outright victory from the jaws of averageness too often for its own good, Queen of Katwe has a lot that works but only in the context of its lack of narrative ambition; an odd movie then, one that can be liked and disliked in equal measure, and which will leave many viewers wondering if it’s as good as they think it is.